Discover Epic Battle Royale Plays! Discover the best and most amazing plays among the most popular Battle Royale games like PlayerUnknown's Battlegrounds (PUBG), Fortnite Battle Royale, H1Z1, Realm Royale, Cuisine Royale, Radical Heights, COD Blackout, Battlerite Royale and many others. 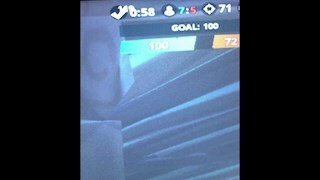 Watch Battle Royale gameplay videos, easily add your own video clips and vote for your favorite gameplay video clips. We support videos from Twitch (VOD and Clips) and YouTube. No registration required. Tap a thumbnail to view the video in a popup, click the link (if exists) to read the full description of that play. 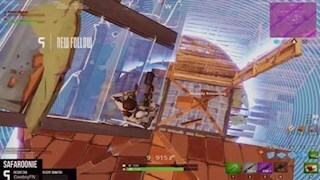 (MUST WATCH) Underrated Console Player!!! 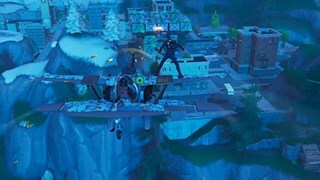 Team Rumble *World Record* Eliminations! 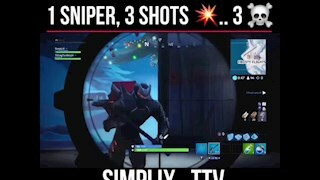 Quick Scope Sniper Kill x3!!!! These are video link submissions where users submitted an in-depth view of a play featured in the video. This is for all the available Battle Royale games we featured on BattleRoyalePlays.com website, including Apex Legends, Cuisine Royale, Fear the Wolves, Fortnite Battle Royale, Fractured Lands, H1Z1, Islands of Nyne: Battle Royale, PlayerUnknown's Battlegrounds, Realm Royale. When you submit a Battle Royale play, you can add a play commentary/evaluation by filling in the description section in the video clip submission page. If you are a Battle Royale Player, you can use this to learn about in-depth tactical plays and become better at playing the Battle Royale game of your choice. A really smart play by Ninja. He was 1-vs-1 against a guy near the stairs. 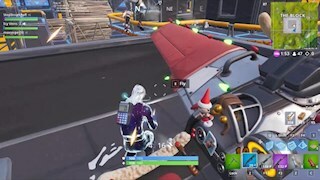 That player threw a stink bomb that dealt DoT to Ninja. 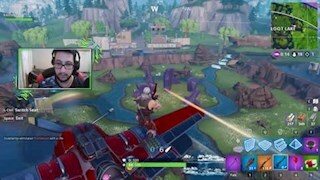 Ninja had a bad angle on him and..
Ghost Saf gets a victory royale at the second match of Summer Skirmish Week 5 against two other players, SkirmishAdmin2 and iHesi TTV. Ghost Ssaf got a King Pin..
A great flank play by a player in Fortnite Summer Skirmish Week 5 Format duos. You can that one player fights against two players, while his teammate takes.. Here we can see an amazing duo play. 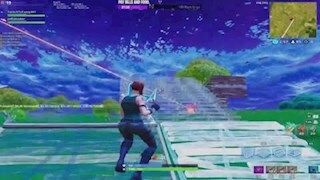 This play was taken at King Pin Week 4 Format in Fortnite Summer Skirmish series. This is a duos battle.In this gameplay, you.. When you see Dark (Dakotaz) making that jump and gets eliminated, you probably asking yourself what the hell this Fortnite Player was thinking? I mean, at this halfway.. 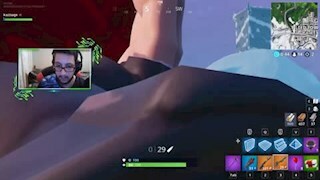 In thisFortnite Battle Royale clip, we can see dakotaz (Dark) finishing his opponent with a green (uncommon) Revolver pistol Dakotaz was on a very low health..
Amazing Fortnite Battle Royale gameplay by Optic_Baldy. You see the last moments of the circle in the storm, where the circle gets so small and it's just about second.. 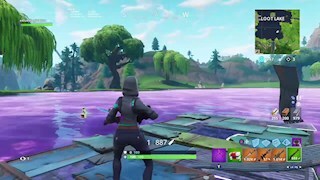 In this Fortnite BR play, we can Liquid Chap continues holding his high ground until the circle is literally gone and the entire Fortnite map is just one big storm. 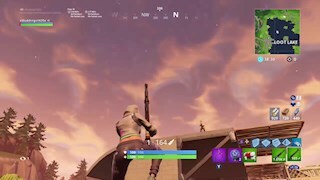 At..
Fortnite Legendary Double Barrel Shotgun is insane, so overpowered at close range. Dakotaz is just melting with it. 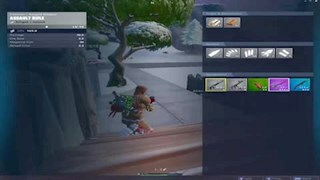 The weapon stats are overwhelming with 150 base..
Dakotaz eliminating the final player with the Double Barrel Shotgun that was introduced to Fortnite Battle Royale in Patch v5.20. This shotgun is a monster (well,.. 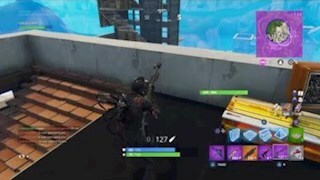 I am always looking for some great looking snipes in Fortnite Battle Royale. 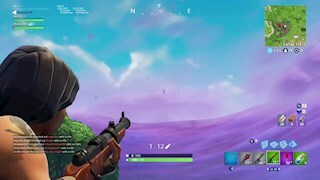 Now with that slo-mo victory royale thing, you get some awesome picturesque snipes that.. In this Fortnite clip, we can see RazZzero0o making a very smart play. It was in Summer Skirmish solos on August 4th, 2018. Razer made a smart choice that instead.. 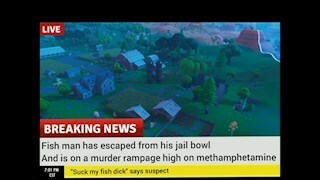 I really liked that Fortnite Twitch clip. 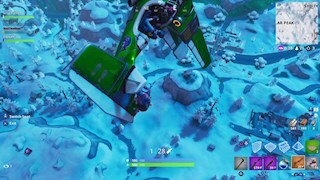 You can see DrLupo jumping in the air using the bouncer pad and his opponent also jumps in the air. When both in the air.. 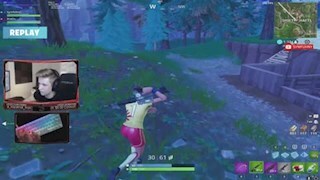 Honest to god, this DrDisrespect is the funniest streamer inexistent when he trolls people online. 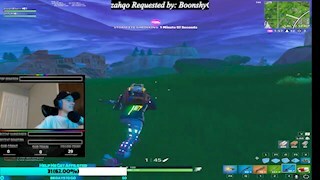 In this clip, he was playing with a kid and was mimicking..
Dakotaz (Dark) playing Fortnite Battle Royale and going kamikaze bazooka on the last player FTW while playing with his friends FaZE Yelo, HighDistortion, and OPscT,..
Look what Dakotaz and Yelo do to a poor Fortnite player who his drowning in the pool, instead of acting like responsible lifeguards, they eliminate him while he.. 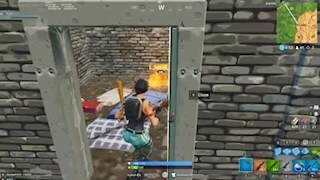 In this Fortnite clip, Loeya things she is in a bad situation and that guy over there is going to make that fight very difficult for her. That guy has the high ground.. This website is all about giving attention to great individual plays. 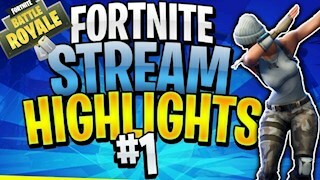 It's a great place for: sharing hand-picked plays from already avaiable YouTube and Twitch videos, discuss and vote epic Battle Royale Plays, learn advanced tactics from experienced players, share your own plays and get feedback from the communuty, as well as diswcovering new fresh Batte Royale plays updated on a daily basis of your favorite games. Battle Royale Plays is a website dedicated for highlighting the best Battle Royale plays among all the popular Battle Royale games. Users can highlight a section in Twitch (Clip and VOD) or YouTube (VOD) so other viewers can see that exact time frame played. We currently have the following Battle Royale games listed and more will be added soon: Fortnite Battle Royale, PlayerUnknown's Battlegrounds, H1Z1, Realm Royale, Cuisine Royale, Islands of Nyne: Battle Royale, Fear the Wolves, Fractured Lands, Apex Legends. In the home page, you get to view all gameplay videos from all the available game that we've just mentioned. To filter for a specific game, just use the search box at the top to filter the results or your favorite Battle Royale game. 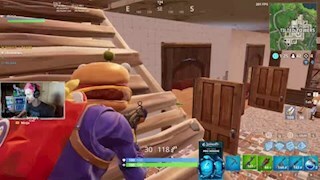 Battle Royale Plays makes it easy and fun to find amazing plays from your favorite streamers, eSport professional players and casual players who share their gameplay videos on Twitch or YouTube. At the top of each page you can find a 'Add New Clip' button which leads to the video submission page. All you need to do is just copy paste the video URL, choose the time frame (except Twitch clips) and submit it to the site alongside a title and description. I love everything about Battle Royale, watching singles or groups achieve the prestigious victory, watching they fail miserably at times, watch players making fun at times or trying some sick trickshots. When you submit a play you can submit it to a category that best fits that type of gameplay, including Epic Fails, Funny/WTF moments, Amazing Plays, and Sniper Shots. In Battle Royale Plays we share and discuss great play moments. The focus is on specific short plays that stand out from the rest and voting and discussing that Battle Royale plays that you find to be the best in their category.